Mix and Chic: Spring Cleaning Tips + BISSELL Upright Carpet Cleaner Giveaway! 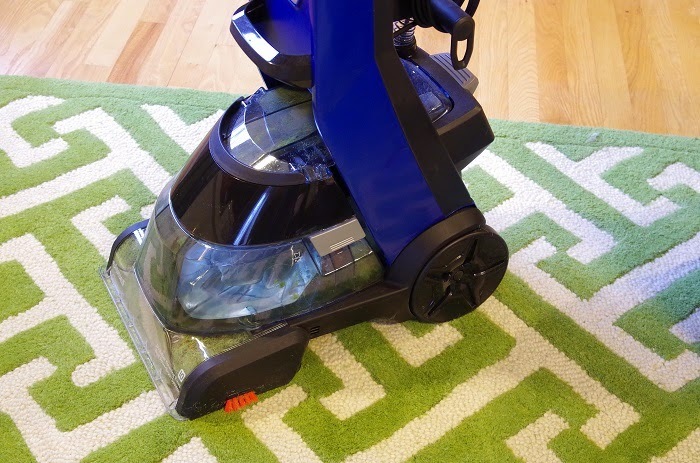 Spring Cleaning Tips + BISSELL Upright Carpet Cleaner Giveaway! Spring is finally here which means it's time to put on my spring cleaning gear. Here are some of my favorite spring cleaning tips! #1. Always start from top to bottom! Blame it on gravity because dusts always fall from top to bottom so start cleaning and dusting from the top of your shelves and furniture so you don't have to clean the same spot twice. #2. Make a cleaning checklist to stay organized. When our lives get too busy, cleaning can sometimes take a backseat. Having a list prevents us from getting overwhelmed and help us stay motivated during the entire cleaning routine. Check out this incredibly helpful 30-Day Spring Cleaning with BISSELL checklist. Print out this wonderful list if you must! It will serve as a great reminder in case you miss anything. #3. Stay focused and clean one room/ area at a time. I don't know about others but I like to clean one room at a time. Put all your focus on cleaning that one room you had in mind rather than cleaning a little bit of everything in every room. Having a clean room can make you feel more accomplished at the end of the day and it will motivate you to move on to another room. #4. It's all in the details. When you clean a room, don't forget to clean the nooks and crannies. Ceilings, moldings, walls, doors and baseboards are some of the most overlooked areas when it comes to cleaning. Pay close attention to these areas because they are almost always the first thing guests noticed! Also, don't forget to clean your carpets and area rugs. 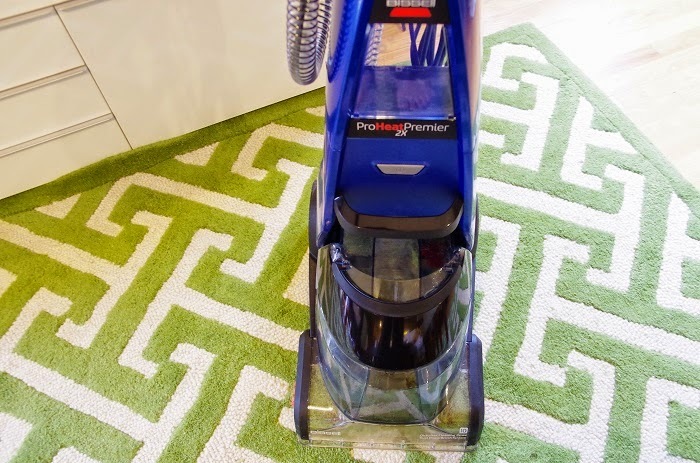 Vacuuming alone is not enough so I love using my BISSELL deep cleaner and BISSELL with Scotchgard™ Protector to achieve a professional carpet cleaning results. 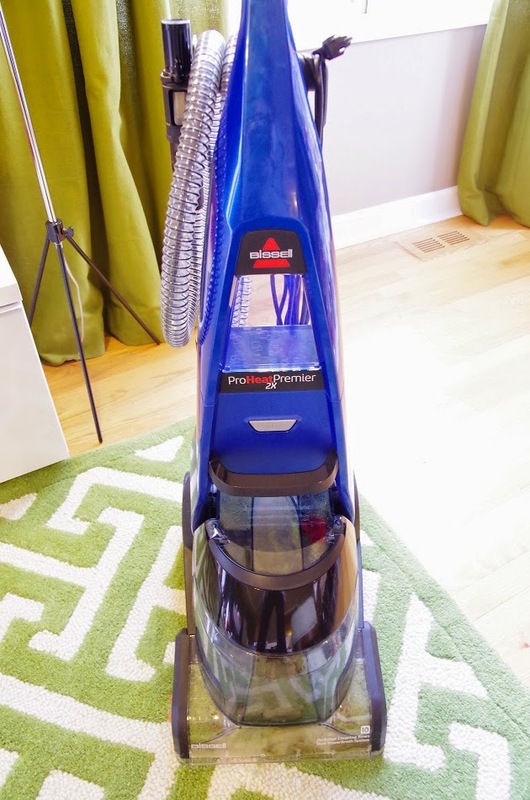 My BISSELL ProHeat 2X® Premier 47A23 Upright Deep Cleaner! Their new formula, BISSELL Professional Carpet Deep Cleaning with Febreze™ is a 3-in-1 solution that removes deep-down dirt and odors, freshens with Febreze®, and contains Scotchgard™ protection to keep my rugs protected from future stains. Such a fantastic combo, you can't beat that! Not only my rug looks spotlessly clean now, I also like how fresh and lovely they smell after I treated them with the new formula! 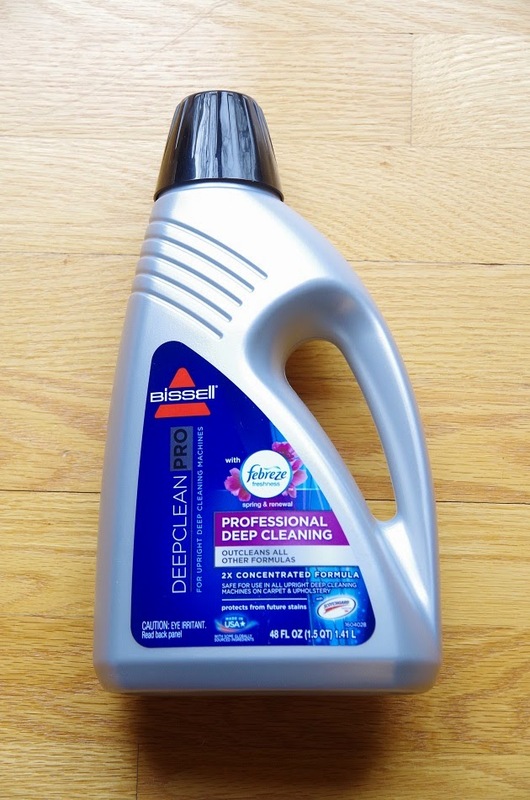 My new and fabulous BISSELL Professional Carpet Deep Cleaning with Febreze™! Curious about how Scotchgard™ Protector works? Check out this short video and this video to find out why you need Scotchgard™ Protector to protect your carpet, rug and upholstery! Great news, my lovely readers! To help you wash out the winter, BISSELL is giving away two product bundles including a BISSELL Deep Clean Lift-Off (valued at $259.99) and BISSELL Professional Deep Cleaning with Febreze® Formula (valued at $21.99) to 2 lucky winners! Simply visit BISSELL's website and let me know your favorite spring cleaning tips on the comment box below with your email address. BISSELL will review all comments and pick two winners to receive the product bundles. Good luck! I like that the BISSELL® Stain Pretreat Formula – Loosens tough stains & odors! Dusting fridge coils. I always forget to do that too! If you can, move any light furniture and be sure to deep clean the carpeting there! I just moved my sofa away from the wall this morning and deep cleaned the carpet there. The sofa moves surprisingly well across the carpeting! make sure you don't use a really bad carpet cleaner/vaccum on your rug because if you use the wrong thing you can RUIN YOUR CARPET!!! I like to go slow and work in one room at a time. That way I don't get overwhelmed and quit. Great tips! The one about working from the top down makes sense! This product from Bissell looks awesome!! My tip is make everyone help. I find if the kids help they will keep try to keep it clean longer. I also like to put on some upbeat music and start with something I can notice to keep me motivated. I like Bissell's tip on how to remove static from your carpets, thanks! I've been trying to adopt the minimalistic style so recently I've been getting rid of all the clutter. That is the first thing I do I get big plastic bags and boxes to store things that are still useable but I don't need anymore so I'll donate them. Also winter stuff are stored in my storage house outside. They with a dust remover I dust off all the tables and furniture. I then disinfect and last but not least, I freshen up my house with some fabric refreshens or lit up some scented candles. Shampooing carpets is a must! Especially since I have four dogs and a toddler. I move furniture slightly and place the legs of furniture on wax paper so it protects the carpet and the furniture. I also open the windows to quicken the drying process. I remove dust from ceiling fans by using the vacuum nozzle. It's smarter to do this first and then do the floors last. I also shake my welcome mats really good and clean them so people don't track pollen and other allergens inside. I always use my dry swiffer first to pick up dust bunnies.. it's amazing how dirty the house can get! Do one room at a time and have everyone help!